In the Ethica section in Wolfenbüttel we find a thin booklet, Bauern-Practica oder Wetterbüchle: wie man die losung der Zeyten durch das gantz Jar erlehrnen vnd erfahren mag/von Jar zu Jar wärende. Jetz widerumb auffs neuw gemehrt/ vnd mit schönen Figuren geziert (Practical Advice for Farmers or Little Weather Book: How to Learn and Understand the Signs of the Times throughout the Whole Year. Now Expanded and Embellished with Beautiful Illustrations),  written by the otherwise unknown Henricus (Heyne) von Uri and printed in Frankfurt am Main by Rabe & Weygand in 1565. The Bauern-Practica is a typical example of an advice book in matters astronomical and meteorological, and its collocation in the Ethica section shows the importance of these matters for early modern life, but not only. Actually, the presence in the Herzog August Library of two more recent editions of the Bauern-Practica confirms the spread of farmer’s calendars until the beginning of the Enlightenment. Moreover, the rich illustrations of the Bauern-Practica offer us the possibility to explore the pictorial traditions of the period and the practices of the early modern book market. The Bauern-Practica, printed in the expedient octavo format, consists in two parts, a calendar with weather proverbs – according to the ancient ‘popular` knowledge – and a planet book. Both parts are supposed to help the farmer in his work. After all, agriculture heavily depended on meteorological conditions and on astrological forecasts. The course of the planets, the position of the stars and weather forecasts made almanacs such the Bauern-Practica “an indispensable instrument for managing land ownership”. Maybe it’s precisely due to this mixture of popular wisdom and respect for man’s position between stars and earth, between celestial influence and terrestrial nature that Duke August included the work in the Ethica section. In general, peasant’s calendars belonged to a prognostic literature gathering astronomical, astrological, mathematical and medical knowledges. Compared to complicated texts (mostly in Latin) addressed to professors and experts, these calendars were shortened and written in a simple vernacular language, in order to be understood by a rural, less educated public, countrymen, country pastors and goods administrators. Since the beginning of the sixteenth century this kind of publications was richly illustrated. In the case of the Bauern-Practica we can divide the book and its illustrations into three parts. The first is dedicated to the monthly traditional agricultural works and, consequently, has twelve pictures, representing activities such as sowing, mowing, refining, harvesting and slaughtering. The second part of the book, instead, focuses on zodiacal signs and their features in connection with the man. Here, the symbols of the zodiac framed by simple garlands appear in a little square with a horizontal hatched background to embellish the pages. Finally, in the third section, concerning the seven planets, among them sun and moon, and their characteristics, each planet is illustrated by its personification. According to the tradition, these personifications consisted in the Gods of ancient Rome such Jupiter, Mars or Venus. Moreover, they are flanked by the zodiacal signs that they control. For example, the limping Saturn, who’s devouring his own children, contains Aquarius and Capricorn. In the detail, the iconography of the months – as can be seen also in cycles of frescoes – is linked to everyday rural life. It starts in January with the scene of a room heated by a modern tiled stove, behind which a woman warms her buttocks by raising realistically her skirt. Agricultural works are at the center of almost all the scenes, for example in February and March with sowing, chopping wood and tying the grapevines. In April a woman milks a cow while another prepares the butter, whereas in October are depicted activities dependent on the harvest. An exception is represented in May, where a happy company makes a boat tour: the musician and two lovers point to the month of love. Finally, the last section has an astrological character. It describes the seven planets and their influences on human body and behavior. We read some instructions related not only to the health, but also to shopping, like the purchase of weapons, horses, harnesses under the signs of Aries and Krebs, because they are influenced by Mars, god of war. Almost all the woodcuts can be ascribed to Hans Brosamer (1495-1554), who worked mainly as woodcutter for printers. Brosamer was quite prolific. During his life he created a totally of 37 engravings and more than 600 woodcuts. He was active in Marburg, Leipzig, Nuremberg, Ingolstadt, Erfurt and Frankfurt. 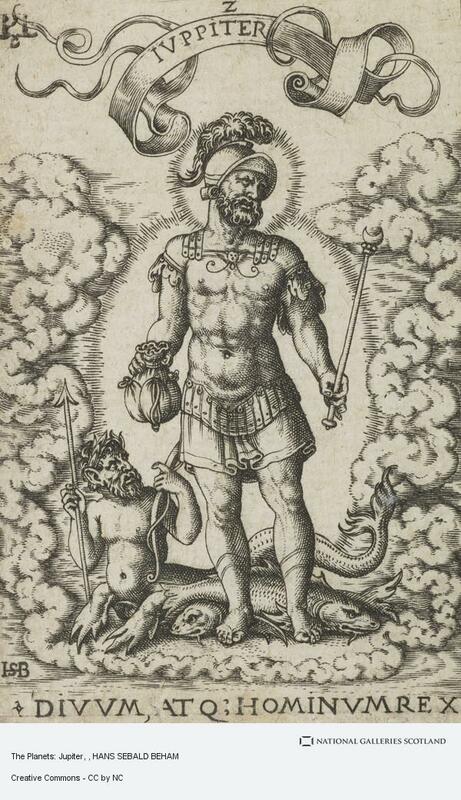 In Frankfurt Brosamer realized many illustrations with religious, scientific, mythological and satirical subjects for the printer Hermann Gülfferich between 1545 and 1555. Although influenced by the most important artists of the German Renaissance, such as Hans Sebald Beham, Georg Pencz and Heinrich Aldegrever, Brosamer maintained his creative independence. Above all, he was an excellent woodcutter, as is shown in the depictions of the months in the first part of the Bauern-Practica. Despite their small size, the illustrations reveal fine precision, steady hand and good knowledge of perspective. Lines and hatching give depth to the landscape and plasticity and harmony to the figures. Clearly they got inspired by the same subjects of Hans Sebald Beham for the Bettbüchlein (Prayerbook), published by Hieronimus Andreæ in Nuremberg in 1527. At the time, this was not considered a plagiarism, but constituted a widespread and accepted practice. Interesting, Brosamer’s pictures of the twelve months were originally designed for another calendar and published the first time in 1548 by Hermann Gülfferich in the Hortulus animæ: Lustgarten der Seele. Typical for that time, patterns and woodcuts were bought by another publisher, in this case Georg Rab, together with the presses of Gülfferich to finally land in the publishing consortium of ‘Rab and the heirs of Wiegand’. Not every woodcut in the Bauern-Practica can be attributed to Brosamer, however. A case in point is the naïve and rough illustration on the frontispiece (fig. 1). It displays three farmers watching the sky, gesticulating and tempting to decoding its signs and predict the weather. Probably, the publisher reused an older woodcut. In addition, among the personifications of the planets, those of Mars, the Sun, Venus and the Moon are most probably not by Brosamer’s hand. These figures are not framed by clouds, as by the original ones – they have a halo behind – and the little zodiacal symbols are designed at the feet of the gods and not in the upper edges, like the cancer at the feet of the Moon. In this case is clearly recognizable the debts of the anonymous woodcutter towards the engraved series by Hans Sebald Beham (Hollstein’s, vol. 3, 115-122). (VD16 B 826). Wolfenbüttel, Herzog August Bibliothek (from now on HAB), Shelf Mark A: 115.1 Eth. (b). Das Reterbüchlein. Welchem an kurtzweil thut zerrinnen/ Mag wol dis Büchlein durchgründẽ. Er find darinnen viel kluger lehr. Von Reter gedicht vnd newer mehr. Jetzt von newem in Truck verfertigt, Cologne, Johann von Aich, around 1560 (VD16 W 1736). Wolfenbüttel, HAB, Shelf Mark A: 115.1 Eth. (a). Eberlin von Günzburg, Mich wundert das kein Geld im Lande ist. Ein schimpfliche/ doch unschedlich Gespreche/ Dreyer Landfahrer/ uber fezt gemeltem Tittel, 1565 (VD16 E 137). Wolfenbüttel, HAB, Shelf Mark M: Li 2021.1. The Retbüchlein has maybe suffered more than the others, because of this thinner paper. Maybe the separation of the three works was due in order to extract this publication, which has a different matter. Bawren Practica. Oder Wetterbüchlein: Wie man die Losung der Zeiten durch das gantze Jahr erlernen unnd erfahren mag von Jahr zu Jahr werende. Durch Heine von Vry, Erffurdt, Fritzsche, 1637 (VD17 23:296535B), Wolfenbüttel, HAB, SM A:156.4 Poet. (4); Bauern-Practica, oder Wetter-Büchlein, wie man Die Witterung eines jeden Jahrs eigentlich erlernten und erfahren mag, durch Aufmerksamkeit der Zeiten, von Jahr zu Jahr währende/ Henricus von Uri, S.l., ca. 1750. Wolfenbüttel, HAB, SM Wa 1258. Elide Casali, Le spie del cielo. Oroscopi, lunari e almanacchi nell´Italia moderna, Torino, Einaudi, 2003, 126. Probably not by the main artist of the illustrations, Hans Brosamer. See later. The sites for bloodletting depended on the location of the pain. For example, the patient suffering from toothache should be cupped under the tongue and so on. “Ein Mensch in der Jungfrawen geboren/ der wirt behendes Leib/ süsser rede/ eines schönen angesichts/ mit gemengter farbe/ er scheinet gütig zu seyn/ unnd ist doch niedlich/ er ist auch unstäts muhts/ hat hin unnd her lauffende Aude Augen/ unnd hat alle die lieb/ so nicht under diesem zeichen geboren seind/ Er wird under seinen Brüdern der aller verdrossenest/ uberlebet auch Vatter unnd Mutter/ Er geredet viel/ und helt wenig.“ Cc. D vij v – D viij r.
 For example: „Im Wassermann hat er glück zu kauffen unnd verkauffen. Im Zwilling wirt er krankheit haben/ In der Wagen hat er glück in allen sachen. Sein größtes glück ist im Scorpion. Im Schüzten hat er not vnd angst/ vnd so er xxjj. Jar. erlebt/ so kompt er bis zu xl. Jaren.“ C. E iij v.
 In July is said: “[…] soll man gebrauchen Lactuca mit Essig und frischem brune/ Auch magst du Rautenletter essen/ denn sie sind nicht schädlich/ hüt dich vor Reß und Schweinemfleisch/ und allem das gebraten ist”, c. D vi r.
 Casali, 2003, 166-167. The author gives some advices about nutrition. He recommends in January warming spices such as ginger, cloves and pepper (c. D v), whereas in October sheep- and goat’s milk (c. D viij v). The importance of astrology in the agriculture was already underlined by Ptolemy. See Casali, 2003, 121. Farmers and shepherds could also determine the relationship between the wind typology, sowing time and harvest volume, as the author of the Farmers’ Practica summarized in roughly three pages (cc. F i r– ii v). Hollstein, vol. IV, 1957. See also Bodo Gotzkowsky, Die Buchholzschnitte Hans Brosamers zu den Frankfurter “Volksbuch”-Ausgaben und ihre Wiederverwendungen, Baden-Baden, Koerner, 2002. Remarkable are the popular editions, such those of Till Eulenspiegel, Schimpff and Johannes Pauli. See Gotzkowsky, 2002, 195-196. Martin Luther, Caspar Güthel, Philipp Melanchthon, Ein seer güt un nützliches Bettbüch leyn ym 1527. Jar. Gedrückt zu Nürnberg durch Jeronymus Formschneyder, Nürnberg, Hieronymus Andreæ, 1527 (VD 16 L 4098). See F. W. H. Hollstein, German engravings, etchings and woodcuts: ca. 1400 – 1700, vol. 3: Hans Sebald Beham, Amsterdam, Herzberger, Amsterdam, Herzberger, 1956, 239. The transfer of Beham to Frankfurt in 1532 explains the numerous imitations of his colleagues. Georg Rhaw, Hortulus animæ Lustgarten der Seelen. Mit schönen lieblichen Figuren Sampt einem newen Kalender vnd Passional Jhesu Christi, Frankfurt am Main, Hermann Gülfferich, 1548 (VD16 R 1684). Furthermore, the farmer-Practica is still endowed with some simple and “archaic” illustrations, a circular lunar calendar, the instructions to build a sundial by using a straw and the picture of two farmers, who measure the time with the just built rudimentary sundial. Hans Sebald Beham, The seven Planets, engraving, 1539. See Hollstein, vol. 3: Hans Sebald Beham, Nr. 115-122. See Hollstein, vol. 3, 1364-1370. Here Hans Sebald Beham, Jupiter from The Seven Planets, engraving, mm 73×48, National Galleries of Scotland, Acc. Nr. P 8840.2 (CC-BY-NC 3.0 License): https://www.nationalgalleries.org/art-and-artists/156009/planets-jupiter. Hans Sebald Beham, Jupiter from The Seven Planet, engraving, mm 44×30. Amsterdam, Rijksmuseum, inv. Nr. RP-P-OB-10.828, public domain: https://www.rijksmuseum.nl/nl/collectie/RP-P-OB-10.828. This series, dated at about 1528, was also assigned to the artist Georg Pencz (1500 ca.-1550). 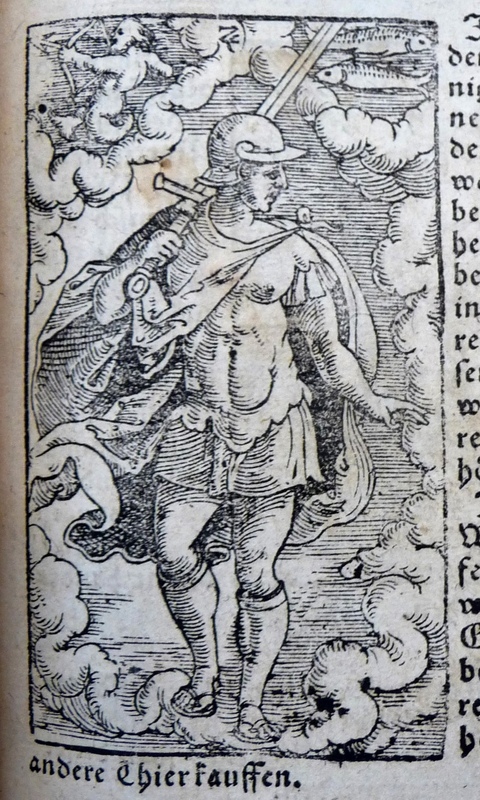 The illustrated Bartsch, 16, Early German Master: Jacob Bink, Georg Pencz, Heinrich Aldegrever/ ed. by Robert A. Koch, New York, Abaris Books, 1980, Nr. 11-17. Monogrammist IB, Mercury from The seven Planets, engraving, mm 83×50, Amsterdam, Rijksmuseum, inv. Nr. RP-P-H-Z-62, public domain: http://hdl.handle.net/10934/RM0001.COLLECT.30253. 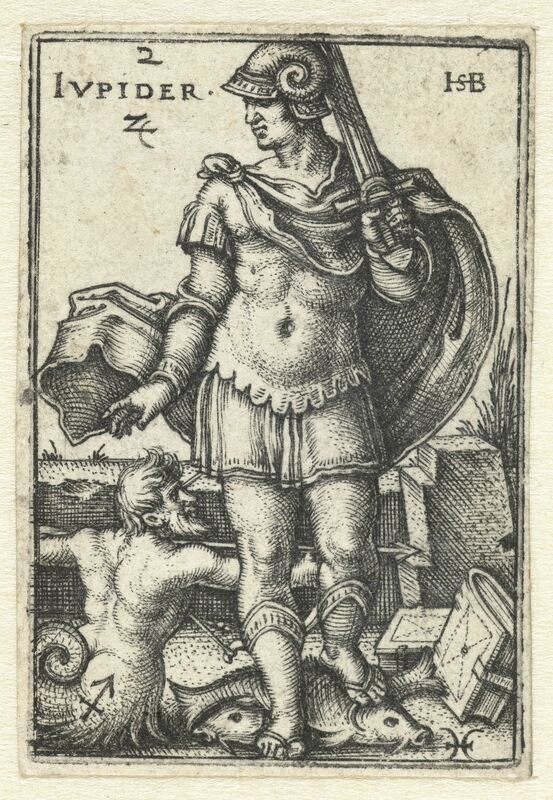 Monogrammist IB, Jupiter from The seven Planets, engraving, mm 84×49, Amsterdam, Rijksmuseum, inv. Nr. RP-P-H-1051, public domain: http://hdl.handle.net/10934/RM0001.COLLECT.30256. Monogrammist IB, Sun from The seven Planets, engraving, mm 83×49, Amsterdam, Rijksmuseum, inv. Nr. RP-P-H-1053, public domain http://hdl.handle.net/10934/RM0001.COLLECT.30258. To this picture engraved by the Monogrammist IB is also to refer the original woodcut of Brosamer of the same planet, printed in similar publications, as in Peter Creutzer, Planetenbüchlein, Frankfurt, Jobst Gran, 1555 (VD16 ZV 28079). In particular Venus is very rough and unproportioned. It’s the reverse copy of the Brosamer’s print. Hans Sebald Beham, Moon from The seven Planets, 1539, engraving, mm 29×43, Amsterdam, Rijksmuseum, inv. Nr. RP-P-H-1039, public domain http://hdl.handle.net/10934/RM0001.COLLECT.31178. The single series of woodcuts Brosamer’s had a relatively big fortune; they were printed many times in Frankfurt by different presses: Hermann Gülferrich’s heirs, Kran, Weigand Han, Georg Rabe d. Ä. and Weigand Han’s heirs and Martin Lechler-Weigand Han’s heirs. All together the woodcut-series were printed in the Großen Planeten Buch by Sebastian Brenner.